2. Often the best farmland is next to a river that floods periodical . 3. The planet Mercury has a moderately elliptically orbit. 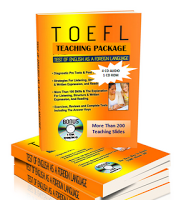 Complete TOEFL Exercise and Answer Key, CLICK HERE. Everyone know the english language become the international where is the good opportunity to learn it from different online tools. Here's I truly happy by taking help from http://www.ukessayservicesreviews.com/rushessay-com-review/ website to make my sentence perfect. Thank you!